That hot bowl keeps the food steaming until you’re finished, and turns the rice on the bottom into a brown, crispy delight. The flavours here go together beautifully. It’s filling without feeling heavy or unhealthy. Advanced tip: you can request an extra-hot stone bowl, which results in an even thicker layer of that wonderfully chewy rice baked on the bottom. Personally, I am a big fan of Gamjatang, a pork bone soup. This is another warm, nourishing meal and an excellent cold-weather choice. Gamjatang is made with a mildly spicy red broth, topped with sprouts and green onions. The dish’s centrepiece looks like an intimidating amount of meat. It’s actually mostly a large bone that’s been boiled for hours to tenderize the attached meat. It takes some work to slide that succulent pork off with a chopstick or spoon, and that can be messy work. Don’t wear a white shirt (trust me). The effort is well worth it. By the end of the bowl, I’m satisfied but still spooning the last of the peppery broth. We can’t forget the supporting roles at any Shinla Garden meal: four Korean side dishes served in small bowls. The highlight for me is the bright red kimchi, bursting with flavour from garlic and hot peppers — this is definitely a step above the store-bought kimchi I eat at home. Pickled turnip and marinated potato are more mild side dishes that add enjoyable variety to the meal. These can be refilled, so devour your favourite and ask for more. Shinla makes a very good bibimbap, though it honestly may not quite rank as the best in town. Other K-W Korean restaurants can rival the quality, taste and freshness of the meat and veggies (at least according to my dining companion, a bibimbap aficionado). But Shinla is still a fine choice, and is conveniently located just a short walk from Queen Street Yoga. Tea is free and refilled consistently, but don’t be shy about calling over a server if you need something…that’s common practice in a Korean restaurant. I’ve eaten at Shinla Garden many times, and the food has always been prepared quickly and delivered by a very friendly server. 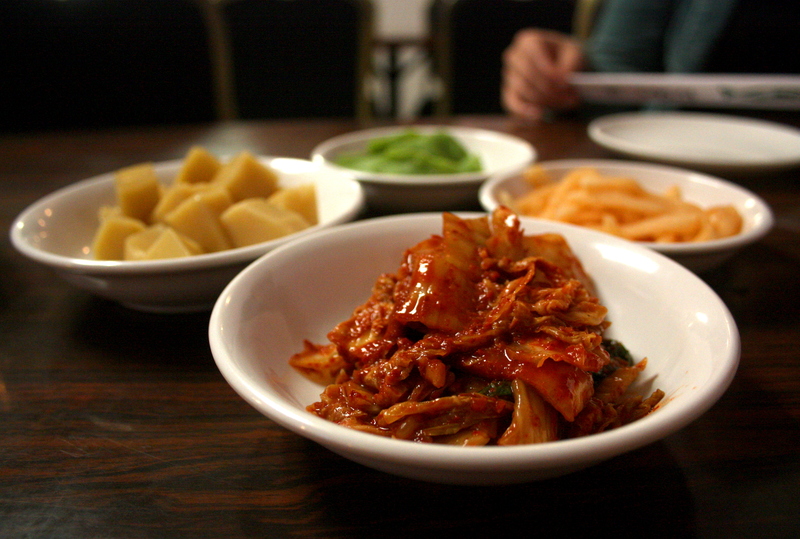 Many Korean foods include meat, but there are some options for vegan eaters. 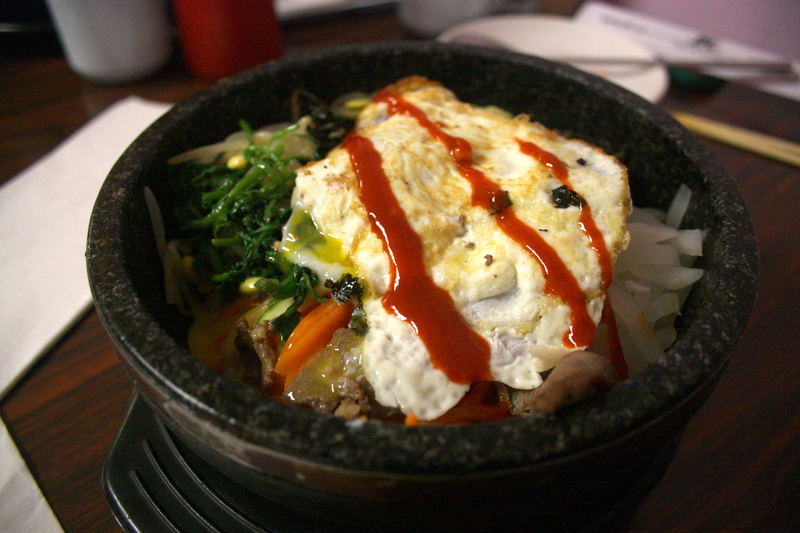 That bowl of bibimbap would still be delicious without beef or egg. There are also noodle dishes and fried rice that are either meat free or could exclude that ingredient..
Korean food is often spicy, but Shinla Garden has plenty of sweet or savoury options, too — besides the bibimbap, try bulgogi or galbi beef. I’ve found their dishes a little more mild than other Korean food I’ve had, but it still might be wise to ask for the spice to be dialed down on certain dishes if you’re worried about a burning mouth. There’s nothing upscale about this family-run join: the food is cheap, and the decor is sure nothing fancy. For me, that’s it’s charm. 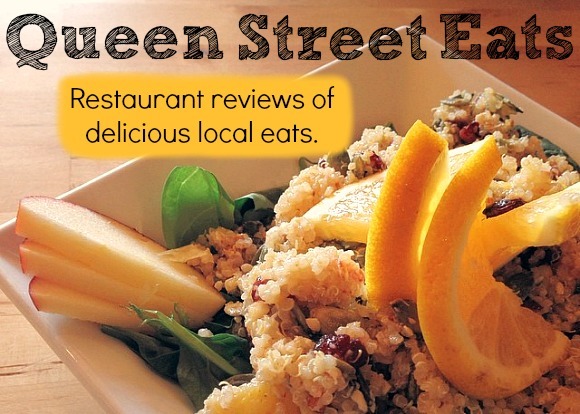 The food is like the restaurant — there are no pretensions of gourmet presentation, but the food is well made and excellent value at just $8 or $9 for a filling meal. You can find Shinla Garden tucked away at 183 King St. East. It’s open 11 a.m. to 10 p.m. Monday to Saturday, and 10 a.m. to 9 p.m. on Sunday. 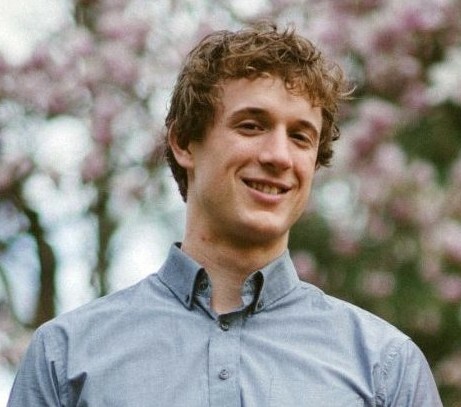 Scott Miller Cressman is a reporter/photographer at the New Hamburg Independent. Around QSY you’ll find him balancing in crow pose, carrying heavy things up and down the stairs, and helping behind the scenes. He is a big fan of culinary adventures and loves checking out all the new and interesting cuisines that KW has to offer.